Well another Cannes favorite has official arrived in today, Sonam Kapoor. On hand as a guest of L'Oreal, the Bollywood star posted to her instagram page pictures of her stylish look. 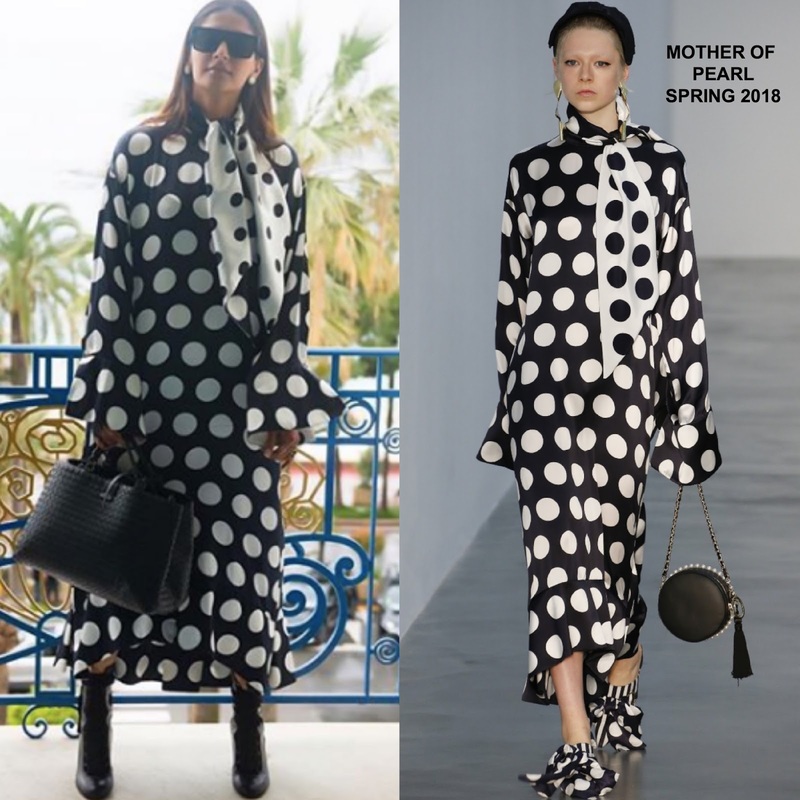 She posed for the gram wearing a MOTHER OF PEARL SPRING 2018 long sleeve black & white polka dot midi dress with ruffle bell cuffs and a contrasting white & black polka dot neck tie. Her look was accessorized with VICTORIA BECKHAM sunglasses, a BOTTEGA VENETA bag and black CHLOE boots. Center part, straight off-the-shoulder tresses finished up her look. I am excited to see what she will be wearing because I know it will be something spectacular so stay tuned. What do you think of Sonam's instagram style?